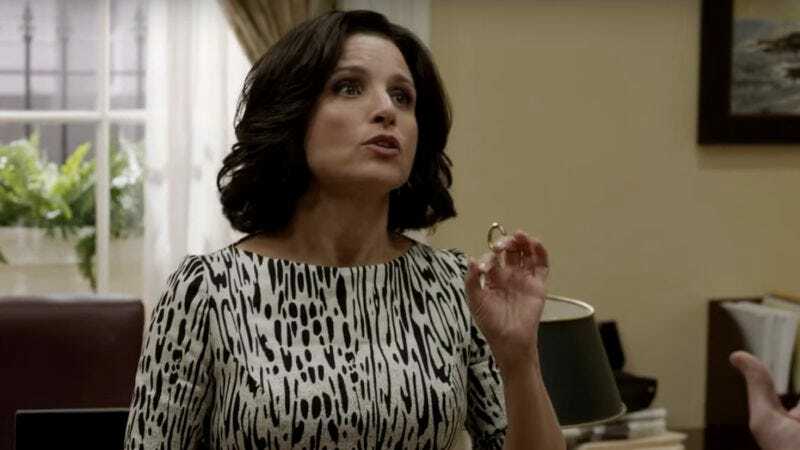 Julia Louis-Dreyfus appears to be cashing in some of the goodwill she’s accrued from the multitudinous awards she’s won for HBO for her work as the co-executive producer and star of the half-hour political satire Veep. According to Deadline, Louis-Dreyfus has inked a deal to produce a miniseries for the cable network based on Helen Thorpe’s 2014 non-fiction book Soldier Girls: The Battles Of Three Women At Home And At War. The book follows the lives of three friends who decided to join the National Guard shortly before 9/11, only to find themselves deployed to Afghanistan and Iraq during one the most tumultuous periods in recent military history. The miniseries will be written by former U.S. Army soldier Nicole Riegel, whose original screenplay Dogfight earned her her a place on the 2013 Blacklist. While participating in the 2014 Sundance Screenwriters lab, Riegel wrote the as-yet-unproduced screenplay Lynch, based on the life of PFC Jessica Lynch, a U.S. Army soldier who was wounded and captured during the 2003 invasion of Iraq. She’s also currently working on an untitled war drama for Cary Fukunaga. Soldier Girls is already in development, but no release date has been announced.